I recently read the book Eat for Life by Harvey Diamond. In it it discuses the proper pairing of food to aid in digestion. Starch can only be digested in an alkaline environment, and proteins can only be digested in an acid environment. Vegetables are easily digested and he recommends eating a serving of vegetables with each meal. Raw foods contain the enzymes needed to digest the food that cooked food has killed off. Fruit on the other hand is the only food that is not digested in the stomach, but passes through the stomach and is digested in the intestines. To eat fruit properly Harvey Diamond recommends eating the fruit alone and on an empty stomach so all the benefits of fruit can be realized. If it is paired with other food it is forced to stay in the stomach while the food is digested and it causes it to essentially rot in the stomach. He also talks about the 3 natural body cycles; appropriation, assimilation, and elimination cycles. From roughly 4AM-noon our body is in the elimination cycle (assuming you wake up at around 8AM). It is when the eliminative processes of the body are at their most heightened. Eating only fruit until noon helps the body to streamline and optimize the activities of the elimination cycle. 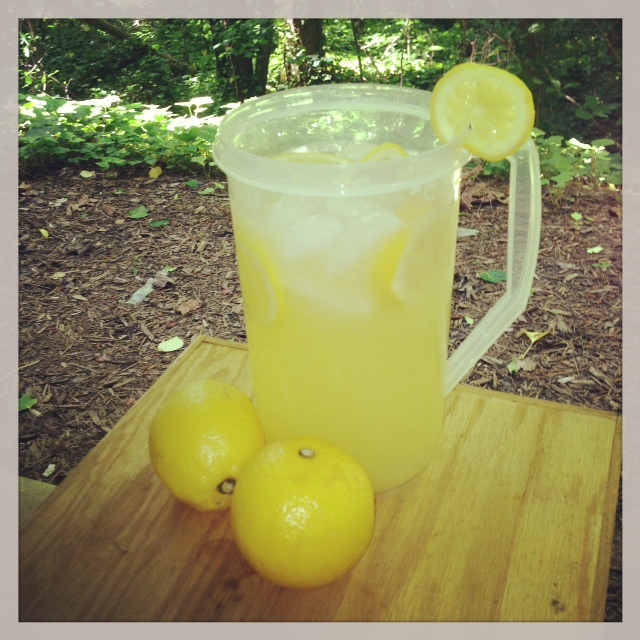 So each morning I try to stick to a fruit only routine (after my shot of wheatgrass that is!). This smoothie recipe does include mint, which obviously isn’t a fruit but I would think it is such a small amount and it should be digested easily. 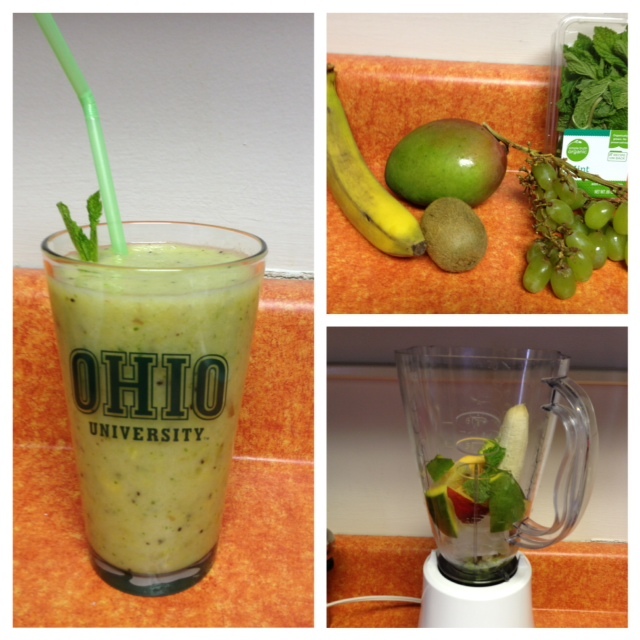 This smoothie is really delicious and since it is green I had to put it in an Ohio University cup, Go Bobcats! Throw the following ingredients in the blender and enjoy!